VIDEO - PUMA: Marco Reus. POWER UP. Unlock New Levels! Home / International Football / Worldwide / VIDEO – PUMA: Marco Reus. POWER UP. Unlock New Levels! VIDEO – PUMA: Marco Reus. POWER UP. Unlock New Levels! 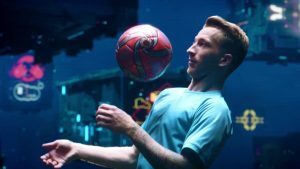 Germany and Borussia Dortmund playmaker Marco Reus blurs the line between the real and virtual worlds of football to POWER UP and unlock New Levels. Previous Chicago Fire names Motorola as Official Jersey Partner! Next Jamshedpur FC’s Carlos Calvo suspended by AIFF for racism!